July 2015 – Narooma Rotary Club Inc.
“….democracy is the worst form of government except all those other forms that have been tried from time to time” Winston Churchill. 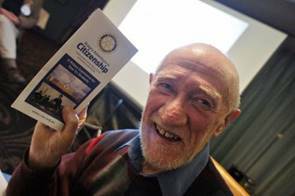 Colin inspired us with his sales pitch of Rotary Adventure in Citizenship – What you always wanted to know but dared not ask…… but we did. Colin stunned us with the statistics: “Only 60% of Australians and just 42% of young Australians aged 18 – 29 years of age believe that democracy is preferable to any other kind of government.” –Lowy Institute 2014 poll. In another survey, only 25% of Gen Y believed “that we have had a peaceful and stable political history” and “that our elections are free and fair”. One way to address this lack of knowledge is taking students, one from each club area, to Canberra to join together and enter the depths of Parliament . Behind the scenes access, meeting with important people, learn by doing and home hosting. In Colin’s words “this is a gold standard Rotary program, not just another school visit to Canberra”. Maybe next year we will be able to select a yr 11 student from Narooma to go over the mountains to become enlightened. Short words by Bob Ant. This week we will be having a board meeting before the main meeting at which we, as a club, will be able to see what the board has decided and also bring forth ideas that you have or feel that need to be brought out in the open. Don’t forget that if you feel something is not right please call me and I will do my best to fix or find a solution that you are happy with/ can live with. Thank you to all who helped at the markets, Chris for holding it all together as things changed, John Rungen for staying the distance, John and Sandra Doyle for their help and Ashley for delivering the washing. To Laurelle, Charmaine, Lyn, David, Frank and Jack and Rolfe (hope I haven’t missed any one) this is a great part of the fellowship within our club as well as a fundraiser, and lucky for us it is a morning market as the wind set out to everything away after lunch. It was sad to hear of the passing of Fergus Thomson. For those who knew him both socially and during his time on council he was always down to earth and genuinely happy to talk with you. He supported our club and our thoughts go out to his family. His funeral service will be this Wednesday at Broulee at 2pm. Past President Angie has done the ground work to get the Whale watching raffle up and running. Tickets are coming and we need to have it done and dusted by the August markets. If everyone could spare one hour per week, somewhere, selling (that’s 4 hours all up) then we should nail this quickly and painlessly for ShelterBox. Laurelle on van duty, keeping warm. We have just started a new Rotary Year so thought I should let you know that in the near future the Rotary Club of Woden Daybreak will be hosting a Rotary Alumni breakfast meeting. It is deliberately timed this year to immediately precede the Rotary Success conference, and the speaker will be Mark Atkinson, from a NSW club which is doing work with farmers affected by the drought west of the Great Divide. Mark is attending the conference. The date is Friday 4 September and the meeting place will be the Southern Cross Club at Woden. Time 7.15 for 7.30am. Suggest you might like to encourage your Club Alumni, and other Alumni you have come across, to attend the meeting. This meeting will provide a great opportunity for Alumni to meet with others and share their experiences. It will be appreciated if you could let the Club President Rosemary Castle (an Alumnus!) rosemarycastle@hotmail.com and myself graham.waite@iinet.net.au know the names of those planning to attend. This week – Board meeting and club assembly. 6th August : Charlie Bloomfield and his wife Leonie from Rotary Bega to update us on CCASE accommodation at the new Bega District Hospital. 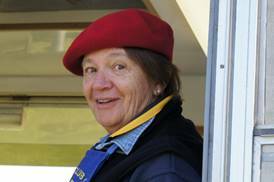 October 14th Wednesday combined meeting with Moruya at Moruya, District Governor Monica Visit. Q: What does a cheese say when it looks in a mirror? Keeping warm is the order of the day this July but every time I feel cold I think of the people over the mountains who are having some wonderful snow but horrendous driving conditions. Also the displaced in Nepal as the monsoon sets in, we are indeed blessed with great life gifts. Last Thursday night set the agenda for the new Rotary year, still things to sort out but on our way. Any guest speaker ideas you have, please contact myself, Peter Hartley or Michael O’Connor (when he returns). Police Rotary Awards – information and maybe worth looking into. This year’s event will be held on Friday 6th November at the new floating Dockside Pavilion, Darling Harbour, Sydney. We expect about 600 guests to attend and hope your club will have some representatives there to support a local officer should there be a finalist from your area. Police Officers who win a local Rotary award in 2015 are automatically eligible for the State Award. All nominations (including local Rotary winners) then go to a judging panel made up of long serving Rotarians from a cross section of the Districts from which the finalists for the evening will be chosen. Each category will have three finalists and you will be notified of who the finalists are four weeks before the event. The Booking Link is: www.sydneyrotary.com and click on The Events tab. This award is to recognise the efforts of NSW Police Force employees, both sworn and unsworn, whose work has been specially identified as providing benefits to the community directly through a program or other initiative. The NSW Rotary Police Officer of the Year is decided from the winners of the two main award categories: Field Operations Local Area Command Police Officer of the Year and Specialist Operations / Corporate Services Non Local Area Command Police Officer of the Year. This is the premier award of the night. From July 1, Chairmanship of ShelterBox Australia has passed to PDG Rowley Tompsett. I will remain on the Board. I feel privileged to have served in the role of Chairman for the past couple of years during which time we have managed to lift donations to a record level and extend our contact networks; from my perspective, there are obvious reasons. First and ironically, the proximity of major natural disasters in our region always generates responses, second the growth in and generous support of our Rotary networks, and then the growth in our non-Rotary networks. None of that happens in a vacuum. The support of our General Manager, Mike Greenslade; Virginia Pieper handling donations, and staff at Rotary Down Under has been exemplary and deserving mention. Then there are the efforts of our Ambassadors which are similarly appreciated. ShelterBox responds immediately to major disasters worldwide. We monitor man-made and natural disasters on a daily basis and assess the need on the ground before deploying aid. Our Board and supporters wouldn’t have it any other way. I look forward to working with you as we grow our activity. Chile – Volcano and Flooding 1,500 shelter kits have been transported to the country and are ready to be distributed by Habitat for Humanity. 1,040 shelter kits have already been distributed in the Atacama region of the country to people affected by floods, with 160 more to be distributed soon. 195 kits have been distributed to people who have been affected by volcanic activity in the south of the country, with a further 100 to be distributed soon. To date we have now been able to provide essential shelter for 15,000 people whose lives have been turned upside down during the disaster. The team is working with the Agency for Technical Cooperation and Development (ACTED) to distribute further aid. 14,500 tarpaulins have been transported into the country and are being distributed along with materials from ACTED, such as corrugated iron, so that people can create temporary shelters and make repairs on damaged buildings too. Our two nominees for the ConocoPhillips Science Experience have been offered places. They are: Campbell Allison 23-25 September at the ANU & Eden Brennan 13-15 Jan at Macquarie University. Applications are also being sought for the Honeywell Engineering Summer School to be held in Sydney in early December. An Afternoon of Organ & Brass at All Saint’s Church Bodalla. Sunday 26 July at 2pm – tickets $22 at the door & afternoon tea at the end of the concert. Come along and hear two amazing musicians playing the beautiful Willis Organ – Mr Peter Jewkes from Sydney and our own Emeritus Professor Bill Hawkey. Local group Sorta Brass will also play selection of pieces and join with Bill for the final piece. Funds raised go toward repairs and maintenance in the bell tower. 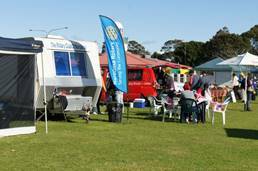 For more information see page 9 in this week’s Narooma News!